Our customers can avail from us a wide array of Zn Bronze Bush Bearing, which finds its application in hydraulic pumps, tube-wells and automobiles. Known for their rust-resistant features, our range of bearings are usually inserted into a housing. It, then, provides a bearing surface that facilitates the rotary application. We make use of high quality metals and other elements to fabricate our range of Bush Bearings. Moreover, these products are tested on various globally accepted parameters to ensure its dimensional accuracy, corrosion resistance, high tensile strength and longer service life. 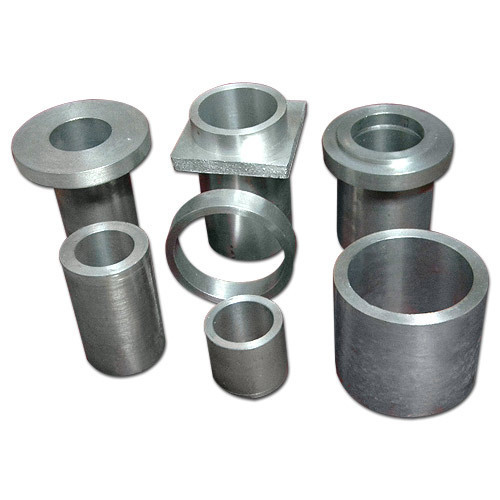 Engaged in manufaturing and supplying of superior, economical non-ferrous antifriction bush bearings alloy and their components.